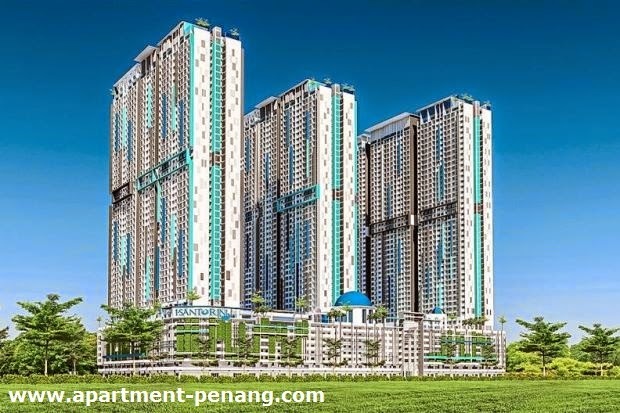 Ideal Property Group will launch two condominium projects this year, the I-Santorini@Tanjung Pinang in Tanjung Tokong and I-Condo@One Foresta in Bayan Lepas. The projects have a collective gross development value of RM1.8bil. The RM800mil I-Santorini will be launched in June while the I-Condo@One Foresta will be launched after Chinese New Year. Since last month, more than 5,000 potential buyers have registered for the projects. The projects will be open for registration at the four-day Star Property Fair 2015 to be held at Sunway Carnival Mall and Sunway Carnival Convention Centre in Seberang Jaya. The fair will be open from March 12 to March 15. Group executive chairman Datuk Alex Ooi said the units at both projects are priced between RM300,000 and RM400,000 each. “The I-Santorini@Tanjung Pinang comprises three blocks of 2,155 units with shoplots on the ground and first floor. “The 850sq ft condominium units face the sea and are designed with three bedrooms and two bathrooms,” Ooi said. The open space of the project is inspired by the landscaping found only in the Greek islands which will be interspersed with water features. The I-Condo@One Foresta comprises 2,685 units of 900sq ft built-up areas. The units have three bedrooms and two bathrooms. “There are four blocks of condos. “It is a value-for-money condominium scheme as it provides recreational facilities such as swim- ming pools, gymnasium, barbeque pavilion, jungle track, camping area, tea house and observation platform. “Residents will be delighted with the natural and sustainable recreational park there. “The park is well-connected by lush landscaped walkways within a gated and guarded enclave,” he said. “From the swimming pools, the residents can all enjoy a panoramic view of Pulau Jerejak,” he added. The Star Property Fair 2015 will see over 20 exhibitors showcasing their latest projects. The fair will be open from 10am to 10pm. To add to the excitement, there will be a Spin & Win Contest during the four days of the fair.